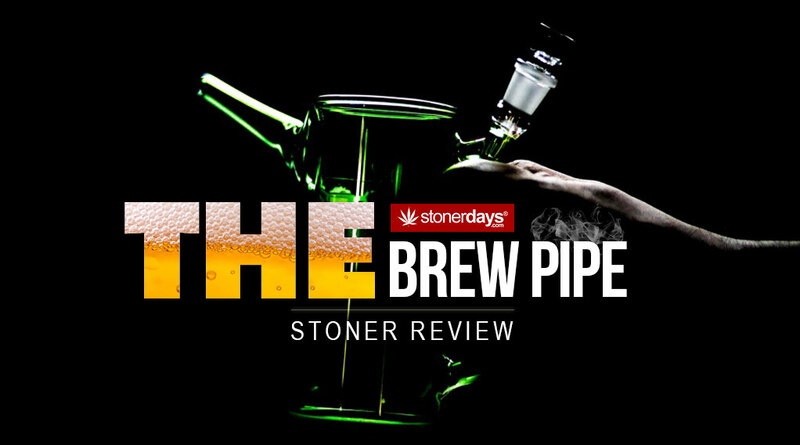 StonerDays recently had the pleasure of enjoying The Brew Pipe and it was to say the least it’s Awesome! The great thing about Brew Pipe is it works well with when cooking BBQ for any occasion. Just simply load your bowl and beer and enjoy. 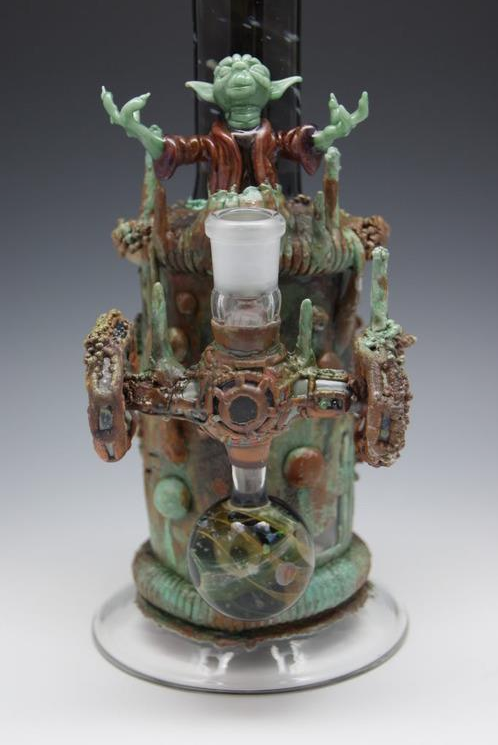 Brew Pipe was born on a warm summer night when Eben Piazza was enjoying a relaxing night with friends on his porch. Eben was trying to enjoy his favorite beer (Sierra Nevada IPA) and a smoke (legal of course), but kept misplacing either the beer or the pipe. Frustrated Eben decided he had to either grow an extra arm, or invent a way to drink and smoke. 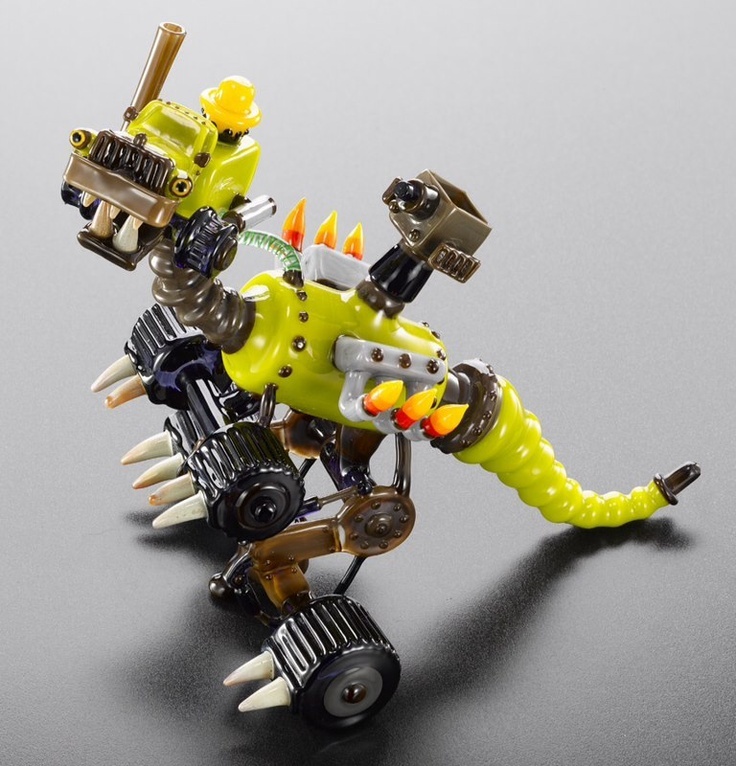 After many failed attempts at sprouting an extra limb, he turned to plan B and created the Brew Pipe. 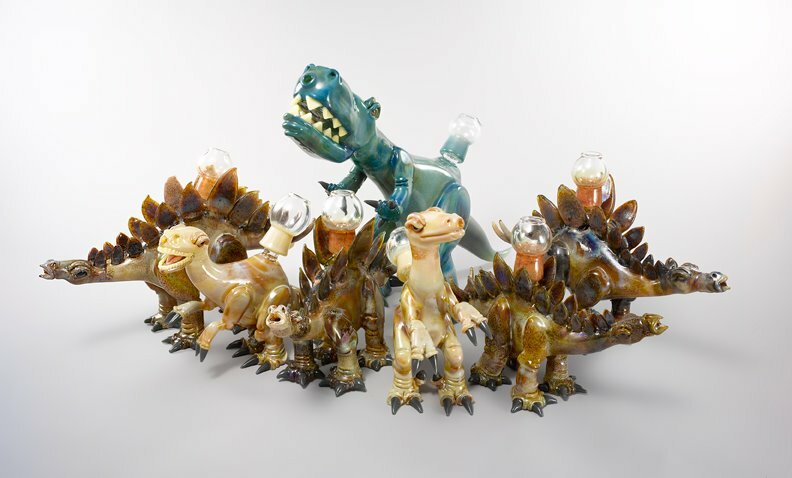 Working with local glass blowers multiple prototypes were created, and tested, until the ultimate pipe was created. 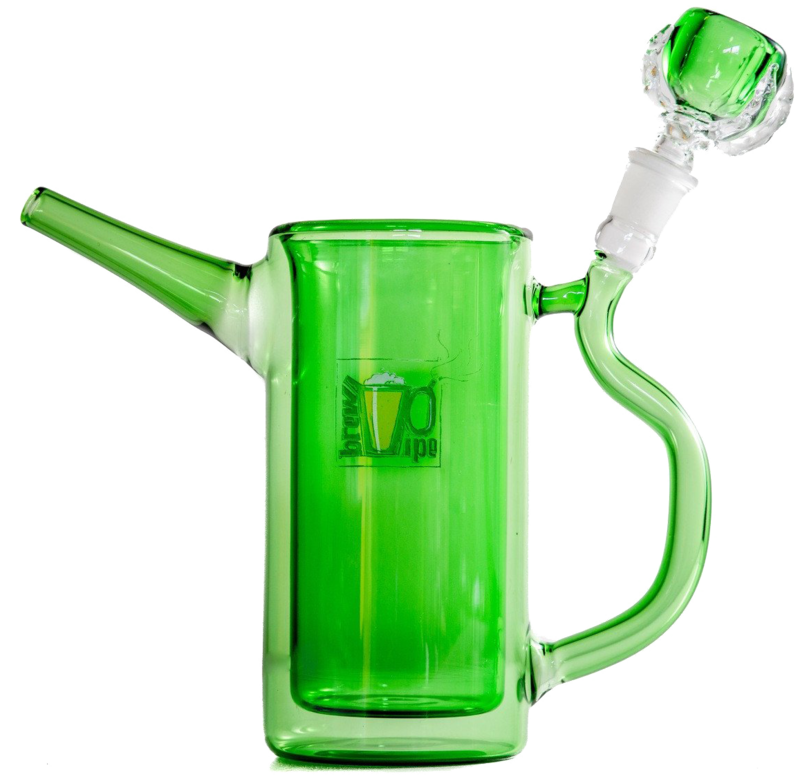 We are excited to bring you the Brew Pipe, and look forward to making your life a little happier. Imagine the feeling of pure happiness that comes when you have a good drink, and a quality smoke. Whether it is relaxing after a long, stressful day at work or getting ready for a night out you can always look forward to a cold beverage and soothing smoke. 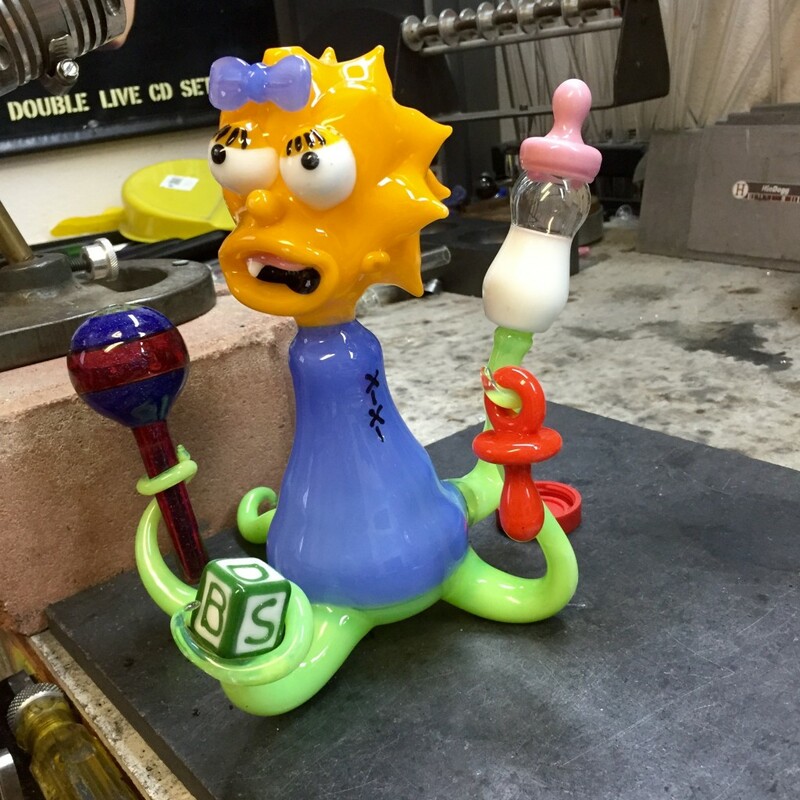 The Brew Pipe is a pipe as unique and one of a kind as you are. No more looking for a way to enjoy your two favorite activities; the Brew Pipe has you covered. 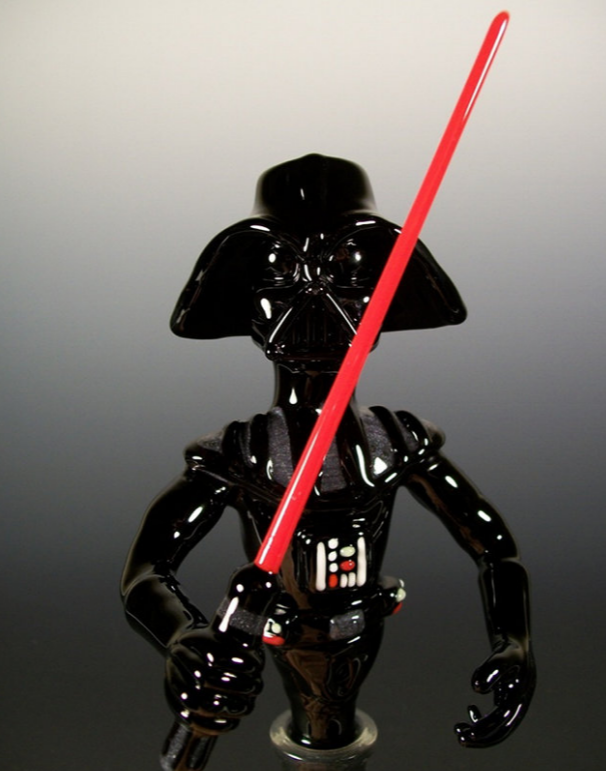 Simply fill the mug with a delicious drink, pack your choice of attachment and enjoy. The separate outer smoking chamber means the smoke is cooled for your enjoyment, but does not mix with the drink. 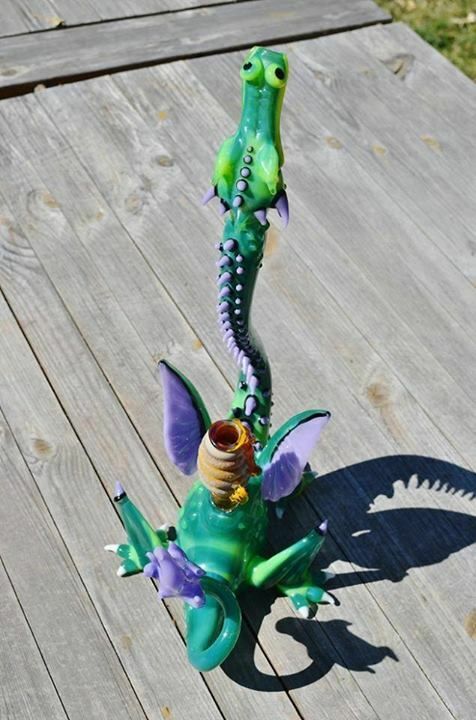 Comes equipped with a dope claw bowl, perfect for enjoying your favorite dry herb or tobacco. 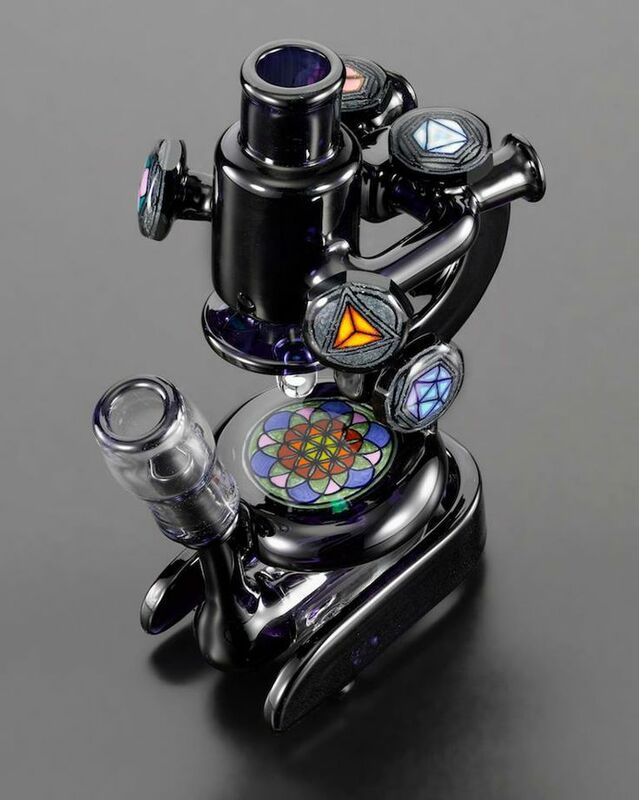 Stoners know how to create something out of nothing… Or better yet, how to create something out of a list of seemingly non-related items. 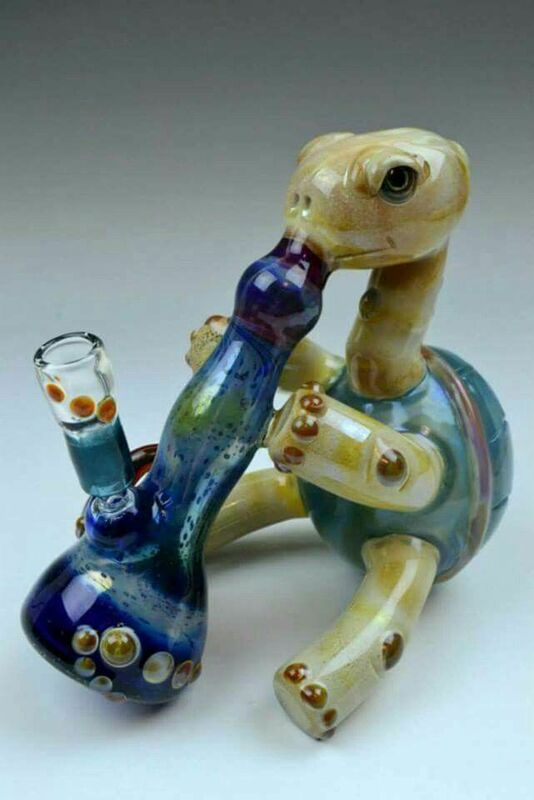 There are hundreds of jokes about how a stoner can grab anything around them and turn it in to a smoking device. 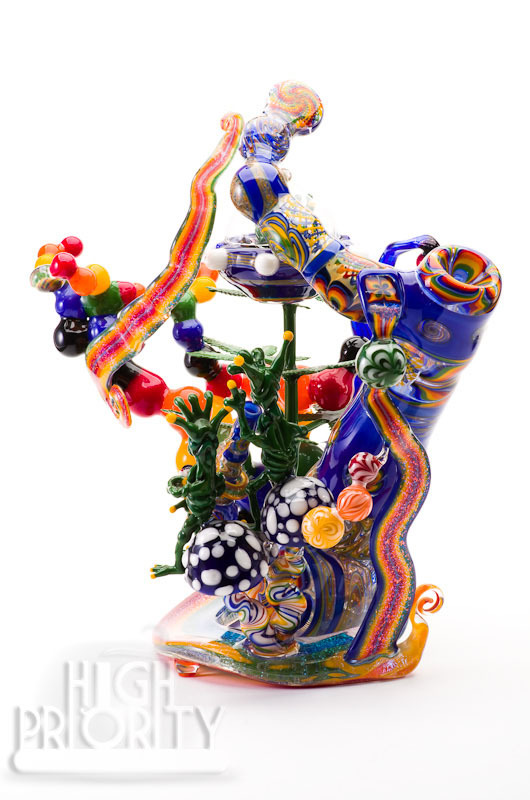 Pipes have been made from fruits, vegetables, recyclables, candy, and many other objects. 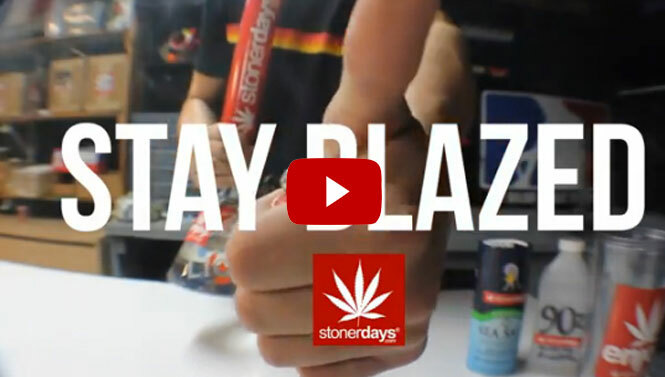 But a new company called Push For Pizza is taking this stoner creativity to a whole new level with their new app. It’s called Push For Pizza and it’s revolutionary in stoner pizza ordering. 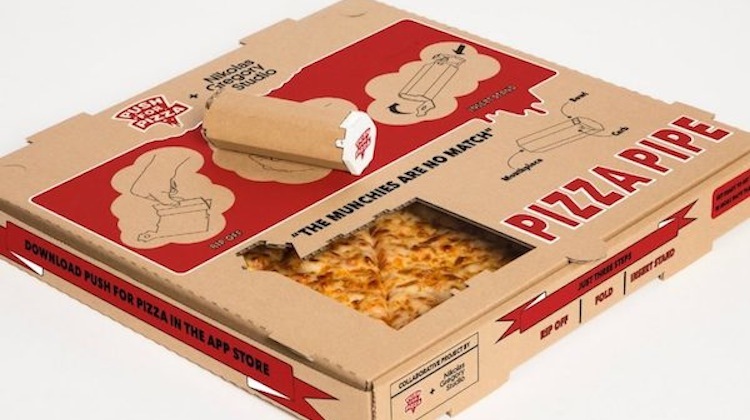 Not only does the app offer legitimate one click ordering but when your pizza arrives, the box can be taken apart and reassembled as a pipe that you can actually smoke out of. Part of the cardboard box that the pizza comes in makes the pipe itself, while the little pizza holder that’s normally found in the center of the pie makes the bowl. And while those little pizza toppers are usually plastic, Push For Pizza went the extra mile and made theirs out of a temperature resistant ceramic. 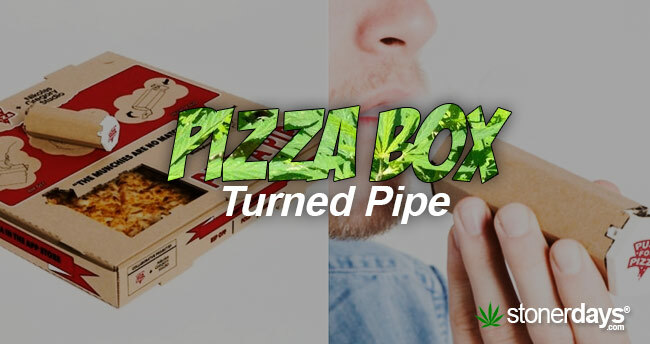 The Pizza Box Pipe is totally legit and deserves the utmost stoner respect. The co-founder of Push For Pizza, Cyrus Summerlin, has figured out the simplest (yet most ingenious way) to corner the stoner market. “It is common to crave food when one gets high,” he says. We are all quite familiar with the munchies. “It is also typical practice to order a quick pizza to satisfy this craving. We are aware of these trends and decided to combine these two interests in to an actual product.” Summerlin apparently knows that stoners can sometimes be strapped for cash and the Pizza Box Pipe materials come at no extra charge. 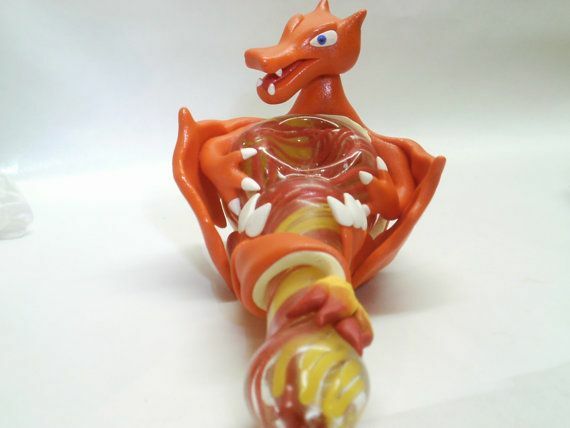 So buy your pizza, get a pipe. And these brilliant things can be used more than once as long as you’re careful with the lighter. 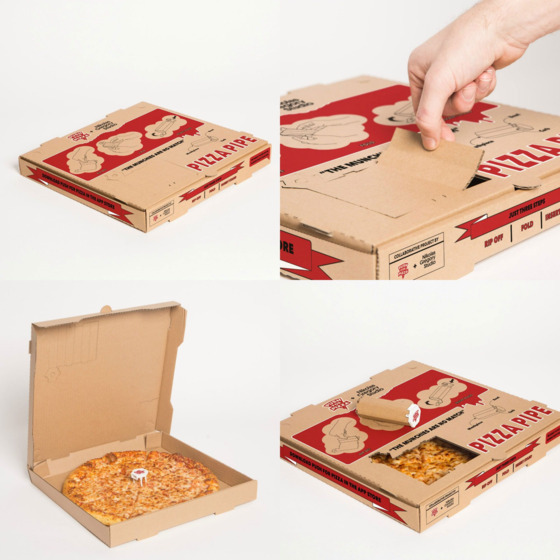 Even though the Pizza Box Pipe is only in the prototype stage, we can expect to see it begin to surface for the general public soon. 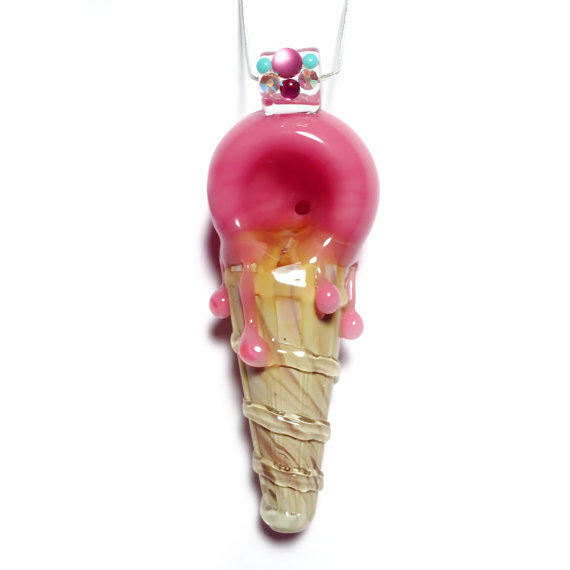 So brace yourselves for one of the greatest stoner/food mashups ever. Let’s face it, there’s nothing better than having your pizza and smoking the box too. 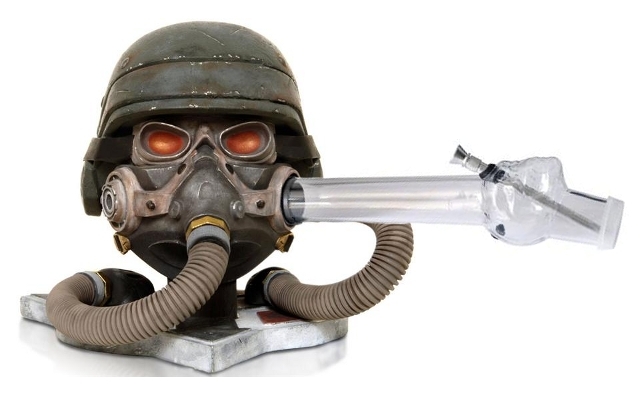 Since the beginning of smoking, there has been one smoking instrument that has stood the tides of change and innovation. That instrument, dear friends, is the pipe. 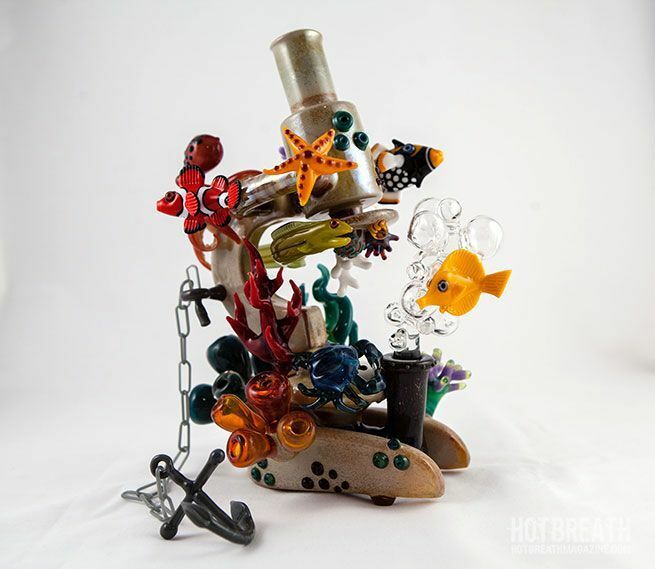 Today there are thousands of different styles and types of pipes but what they all have in common is a chamber or the bowl for lighting the weed and a mouthpiece or bit. The possibilities are endless when it comes to the size and style of the pipe, which is one of the reasons they are still around today. 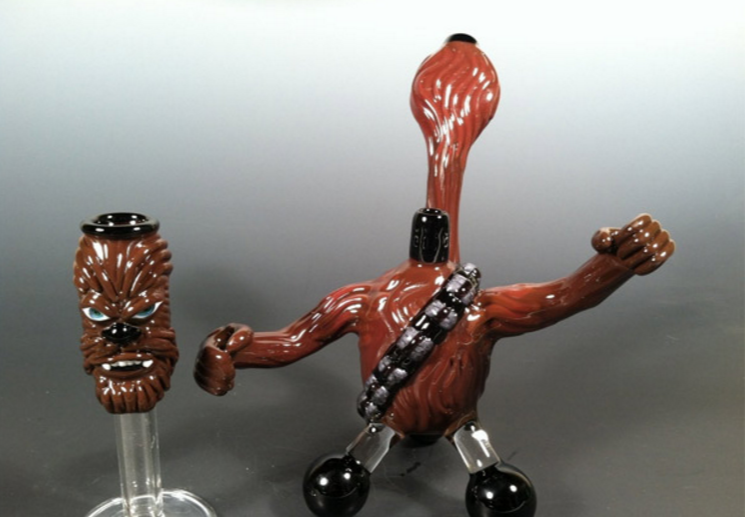 Pipes are perfect for the on-the-go smoke and can be easily taken anywhere. 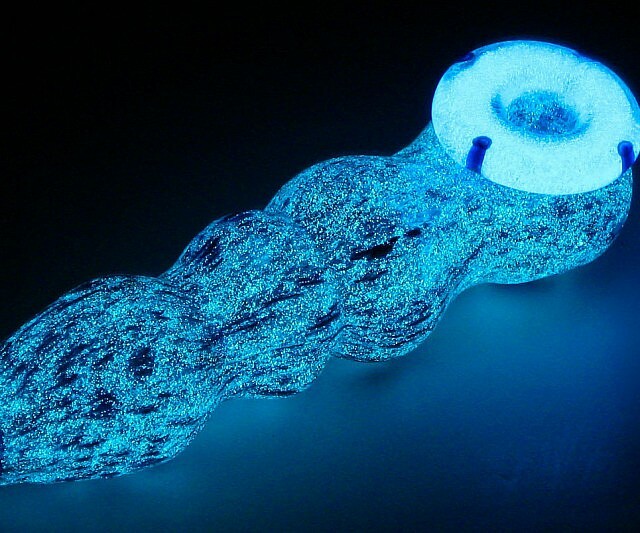 The smoke from a pipe is known to be harsher than a bong or hookah but is not a concern for seasoned smokers. 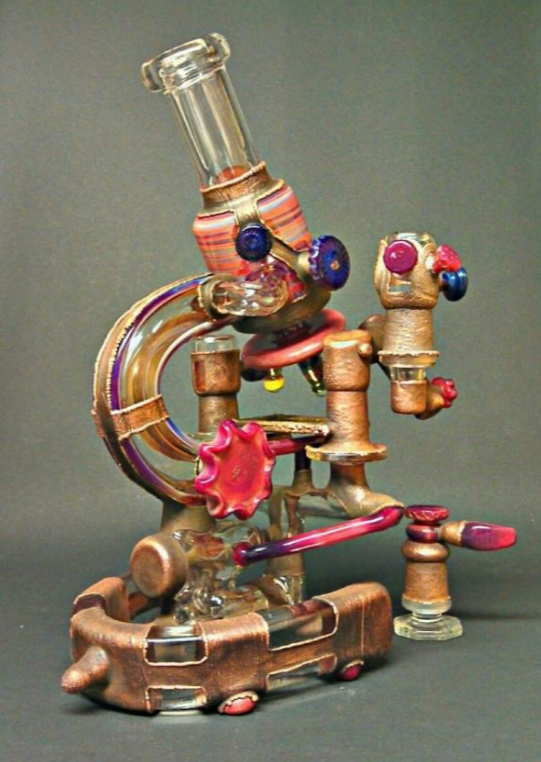 A pipe will surely provide a quality smoke every time if cleaned properly. They can get clogged overtime and may require a bit of maintenance. Our forefathers would not have steered us wrong and if pipes were good enough for the cavemen, they’ll work just fine for us too.